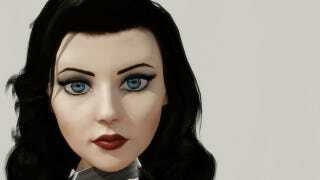 BioShock Infinite has never really been wanting in the art department. So what better game to document with gorgeous, high-res screenshots? These shots come courtesy of Dead End Thrills, and were captured during the first act of Infinite's weak-starting but cool overall expansion Burial at Sea. Noir Elizabeth is looking pretty noir-y, huh? Head over to Dead End Thrills for more, including some hot new Mass Effect 2 shots.